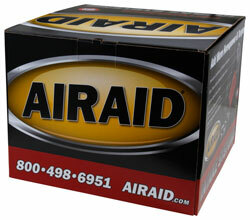 The AIRAID 400-239-1 fits some Ford F150, Ford F150 SVT Raptor, Ford F250 Super Duty, and Ford F350 Super Duty models. See vehicle applications for details. Installed this kit on 2016 F250, 6.2L. Install was simple, about 30 min., and thats not being in a hurry at all. The noise difference is minimal, but does increase when you get into the pedal. Over a two week period of average driving, I have noticed an increase of about 1.5-2 mpg. Throttle response is better, and that was noticable instantly. I believe there was a slight increase in power, but I have not towed anything yet to be sure. All in all, it lets the engine get that extra bit of air that I felt it wanted everytime I drove up any type of long incline, and just seems to be better as far as regular driving. If you have one of these motors, you know what I mean when I say it sounded like it was starving for air...this helped. I was not looking for some high performance set up, just something to help...would buy again.